People's Party Leader Maxime Bernier sent a tweet Tuesday attacking what he called the "leftist logic" that praises female impersonators while branding white people who wear dreadlocks or blackface as racists or perpetrators of cultural appropriation. ​Bernier said it was illogical for drag artists wearing makeup and women's clothing to be celebrated as a source of diversity while the actions of others — notably whites who adopt some of the physical characteristics of racial minorities — are demonized as discriminatory. 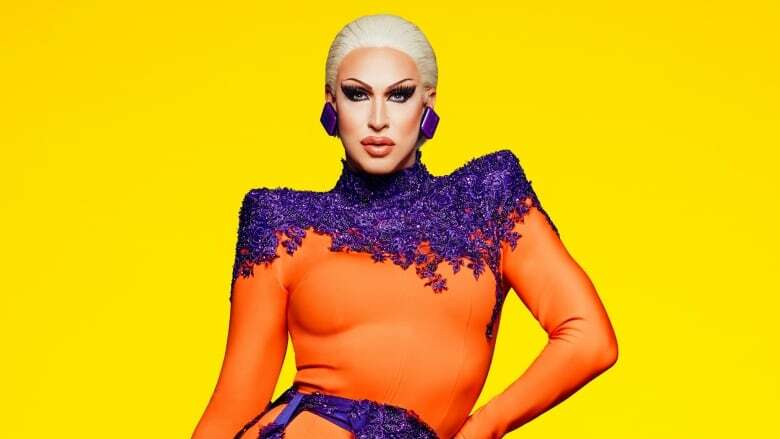 The source of Bernier's angst is a tweet from the official Twitter account run by Global Affairs Canada that praised Toronto-based drag queen Brooke Lynn Hytes, who will be the first Canadian to appear on the Emmy-award winning reality program RuPaul's Drag Race. That show sees drag queens compete for the title of America's Next Drag Superstar. "Canada is behind you as (you) strut your way towards becoming one fierce superstar!" the tweet reads. Blackface has a long and complicated history in North America and is widely regarded as deeply offensive. Its origins date back to 19th century minstrel shows that saw white performers paint their faces a darker tone to mock black Americans. The earliest of these shows ridiculed enslaved Africans on Southern plantations, depicting black people as lazy, ignorant, cowardly or hypersexual, according to the Smithsonian's National Museum of African American History and Culture (NMAAHC). The history of drag performance is murkier. Female impersonation has been a part of stage performances for generations. Drag queens have been a fixture of gay bars in the West since at at least the post-Second World War era. Performers, typically gay men, dress in women's clothing and sometimes impersonate famous 'gay icons' to entertain patrons. After receiving backlash for his tweet, Bernier said: "Let's provoke some head explosions among social justice warriors." He also said blackface is a "non-existent phenomenon." The Quebec MP then re-tweeted a follower who said Bernier does not have "a problem with some dude throwing on a dress and makeup" but was merely highlighting "the left's hypocrisy when it comes to standards of self-expression." Bernier, a self-described libertarian, has shown support for gay and lesbian Canadians in the past, publicly backing a change to the Conservative Party policy declaration that had defined marriage as a union between a man and a woman. "Maxime supports constitutional equality for all, regardless of race, religion, sexual orientation or gender," a note on his website reads. When asked about Bernier's tweet, a spokesperson for Global Affairs Canada said it was proud to promote Hytes' appearance on the TV program. "The promotion and protection of the rights of LGBTQ2 people worldwide is a priority for our government, and we will continue to champion respect for diversity, inclusion and the human rights of all people everywhere," he said. The show in question is hosted by RuPaul Charles, a pioneering drag queen who helped bring the gender-bending performance art into the mainstream. He also has faced backlash for comments about trans women that some have called offensive. Bernier condemned "agitated journalists" Tuesday for "freaking out" and making inquiries about a tweet he himself had sent only hours earlier, saying the media should instead focus on more important issues like his stance on pipeline development, equalization and corporate welfare. It's not the first time Bernier — who narrowly lost the last Conservative leadership race in 2017 before starting his own upstart populist party — has stirred the pot on social media as he looks to pry voters away from the other major parties ahead of October's federal election.